Thank you for considering making a tax deductible donation to help AADP keep Alaska death penalty free. Your donations help us keep the public informed through events and activities that we hold year-round. Our donations are processed through NetworkForGood so they are safe, secure, and convenient. Click the Donate button below to visit our donation portal. 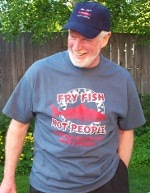 Merchandise with the AADP "Fry Fish Not People" logo on it is available for purchase. 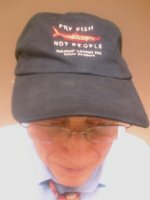 Each of the prices listed above include shipping.